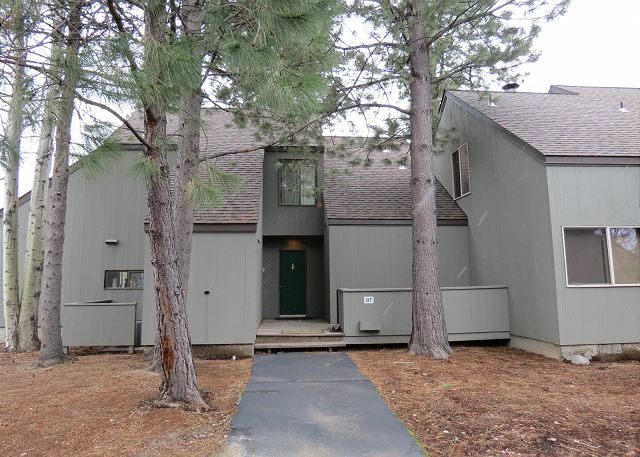 Enjoy all the ambiance Black Butte Ranch has to offer from this Condominium. 3 bedroom, 2 bathrooms, with stunning views of the Mountains, Lake and Meadow. A short walk to the Lakeside Recreation Area. Bring your dog. Air conditioned for added comfort! Beautiful three story, three bedroom, two and one-half bath condo with stunning lake, mountain and meadow views. Enjoy scenery from every room. Spacious living area, light and bright plus large deck. Walk to new Lodge rec center. Air conditioned. Golf Course Condo #87 offers amazing views of the Golf Course and Mountains! Fabulous location close to restaurants, golf, new rec center, and Lakeside Bistro! Level terrain for the smallest biker in the family! Air conditioned plus bring your dog! Perfect for the small or extended family, this condo has amazing lake and mountain views! It's just a short walk to the new Lodge Pool and recreation area and the Lakeside Bistro. Bring your dog. The condo is air conditioned for added comfort. Front row Condo with a close up view of Phalarope Lake and The Three Sisters Mountains from the large decks! You will enjoy the original Black Butte Ranch ambiance in this vintage condo. Walk to new Lodge Rec area and Lakeside Bistro. Air conditioned!